High contrast ratios and fast response times, mean rapid-action viewing such as sporting events or adventure films is displayed with super clarity and truly come alive! With a super-wide 178-degree viewing angle, images look spectacular wherever you are seated. 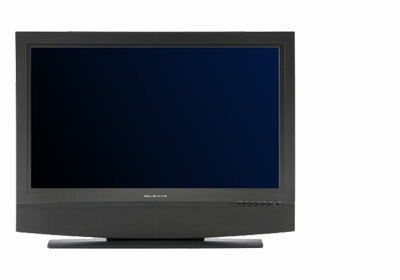 Perfect for home or office viewing These LCD HDTVs also excel as computer displays with support for TV resolutions up to 1080i, and PC resolutions up to 1360 x 768 through HDMI and VGA. Olevia’s surround sound audio processor creates an awesome listening environment while watching TV, movies or playing games. RS-232 control enables you to connect your Olevia HDTV to a home entertainment system. Once you see the new Olevia, you’ll agree that you’ve never seen HDTV like this! Olevia’s new pictorial-based on-screen display menus are user friendly and easy to understand and will teach you what the controls actually do. Simply select from a scrolling wheel of icons including preset video and lighting modes that account for the differences in home and store environments, and content such as high definition TV, standard definition TV, DVD movies or VCR tapes. Keep the firmware of your Olevia LCD TV up-to-date and protect your investment. By simply downloading available updates from our website through Olevia’s USB port, you can obtain the latest new features, software updates and image quality improvements. This assures that your Olevia LCD TV will stay current with state-of-the-art video processing technology. See what you’ve been missing! Watch more of the image on your Olevia TV with up to 37% more of analog images displayed and up to 11% more digital broadcast images without distortion from image expansion. View what the director intended you to see with precision colors and distortion free images. Olevia LCD TVs provide calibrated 6500K color and a full range of brightness, contrast, color, tint and sharpness and mode controls for recreating image quality as it was meant to be viewed. Olevia LCD TVs include HDMI inputs, the preferred interface for HDTV, to provide the best in pure digital video quality. We value long-term customer relationships. To best serve consumers of Olevia LCD TVs, we provide live, in-house technical support and customer support and a rich on-site warranty service plan.